Thule Backpacks & Bags Crossover 56L Rolling Duffel Black 3201092. A durable exoskeleton and a molded polypropylene back panel absorb the impact of rugged travel and a divided main compartment keeps gear separated. 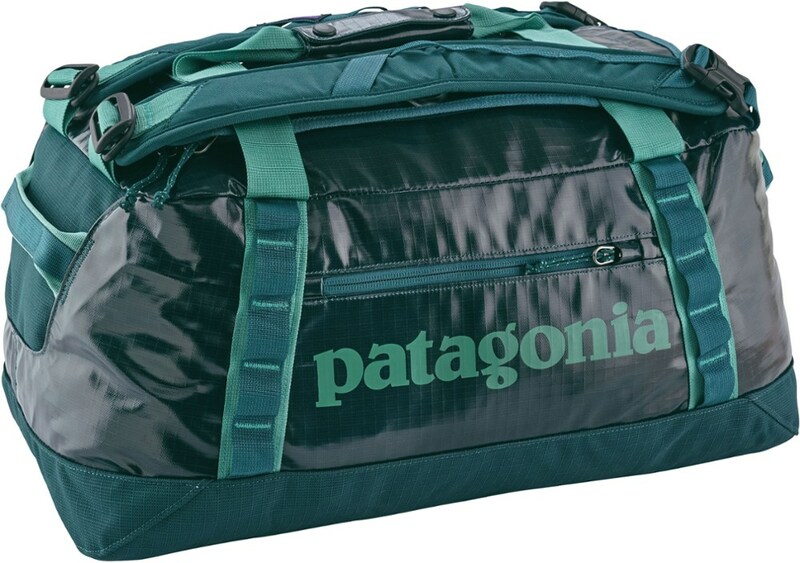 Built to handle frequent traveling, the Crossover Rolling Duffel delivers ideal luggage capacity for any adventure. 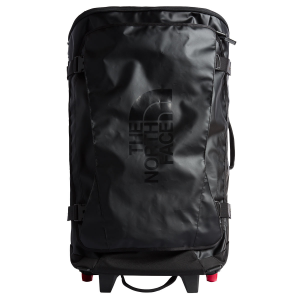 Featuring a lockable, crush-proof compartment and oversized wheels, this bag is equipped with the durability you need to keep your valuables protected while heading to your next destination.. . 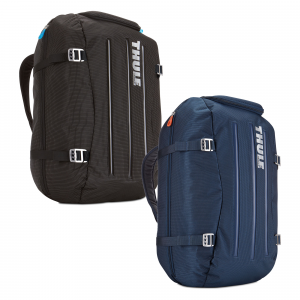 This product will be shipped directly from Thule and will leave their warehouse in 2-3 business days. Eligible for UPS ground shipping only. 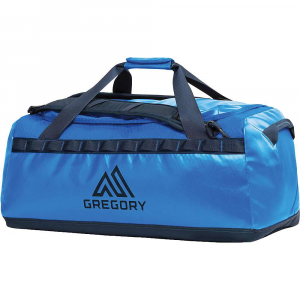 Mid-size rolling duffel ideal for carrying helmets, boots and other gear. Divided main compartment keeps belongings organized. Compression straps allow for optimal storage space. Lockable, crush-proof SafeZone compartment secures electronics and other valuables. 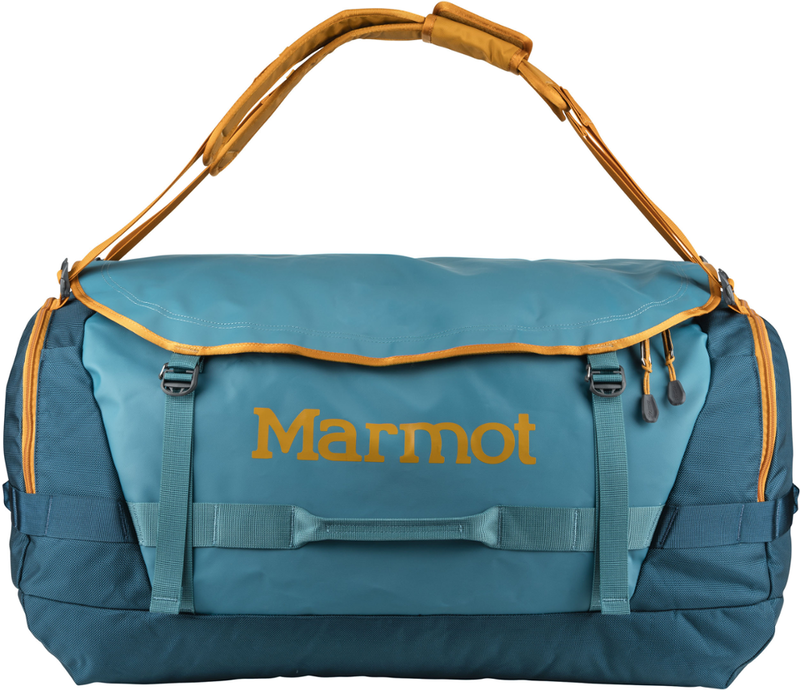 Built with water-resistant dobby nylon packcloth and molded polypropolene back panel for durable protection. Oversized wheels and aluminum V-Tubing handle allow for optimal maneuverability. Two front straps. Stabilizer feet keep bag from tipping over. 56L (3418 cu. in.) total capacity. 7 lb. 11 oz. total weight. Imported.